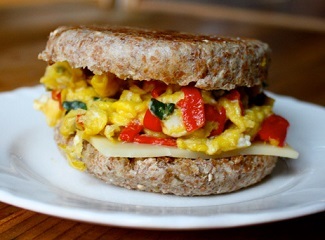 This is a hearty, delicious restaurant recipe for a Sourdough Breakfast Sandwich without any meat. Of course, you could add bacon, sausage or ham and it would be a great breakfast with any of those additions. And the sandwich doesn't have to be sourdough. Use your choice of bread or biscuit or muffin or tortilla. I have included this restaurant recipe for those who choose not to eat (or cannot eat) meat, for whatever reason. Add the hash browns or cottage fried potatoes or fruit for a wonderfully nutritious meal. Preparation time: 8 minutes. Servings: 1. 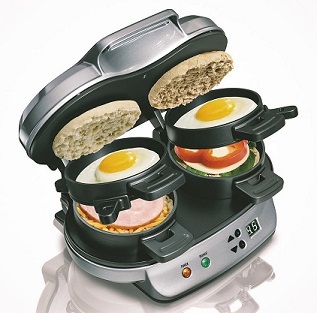 Enjoy your restaurant recipe for a breakfast sandwich and the company of those you share it with!